Key Difference: The primary difference between Delhi and New Delhi is that Delhi is a city and a union territory of India, whereas New Delhi is one of Delhi’s 11 districts. Hence, New Delhi is just a small part of the bigger Delhi. The names Delhi and New Delhi are often used interchangeably, as most people think that they are the same thing. That confusion is so widespread that even citizens of India are misinformed and misidentify it with each other. The confusion is created not only due to the similar names but also by the fact that they seem to be located in the same place, or rather within each other. Delhi is officially known as the National Capital Territory of Delhi or NCT. 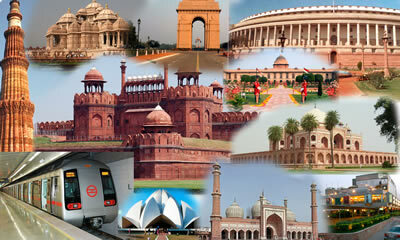 It is a large metropolitan city that is categorized as a union territory of India. The city is divided into 11 districts for easier management. One of these 11 districts is named New Delhi; hence, it should be noted that New Delhi is a part of the city of Delhi. While most people mistakenly think that Delhi is the capital of India, in reality it is actually New Delhi, which has the privilege of having that title. New Delhi has had the honor since 1911, when the George V, Emperor of India during the Delhi Durbar of 1911 officially announced it and laid the foundation course. This saw the capital shift from Calcutta (Kolkata now) which had been the capital of British India for about 200 years. As the capital on India, New Delhi hosts the seat of the government. This includes a variety of building where the important decision regarding the country are made, include Rashtrapathi Bhavan, Secretariat building, Parliament, etc. It also hosts a number of embassies from countries all around the world. Another difference between Delhi and New Delhi is the fact that New Delhi is fairly newer as compared to Delhi. Many places in Delhi date back to the Mughal Empire or even further; after all, Delhi has been the capital of more than seven different empires throughout history, the largest of whom was the Mughal Empire. New Delhi however, is fairly newer with most of the building constructed by the British for their own purposes in the beginning of 20th century. 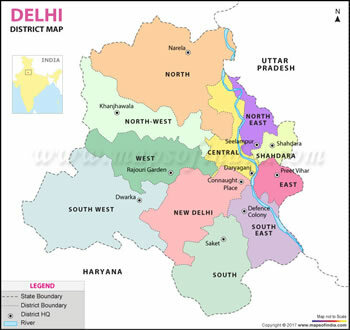 The term Delhi is often also used to refer to the areas around Delhi, which technically fall out of its jurisdiction but are included in a developmental plan for the region. The areas included in this plan is Delhi, as well as parts of Uttar Pradesh, Haryana, and Rajasthan. These regions together are referred to as National Capital Region, commonly NCR; however due to this, it is mistakenly believed that these surrounding areas are part of Delhi. Newer dating back to the British. Most official buildings are constructed in the early 20th century. Rashtrapathi Bhavan, Secretariat building, Parliament, India Gate, Connaught Place Jantar Mantar, Lodhi Gardens and Akshardham Temple.